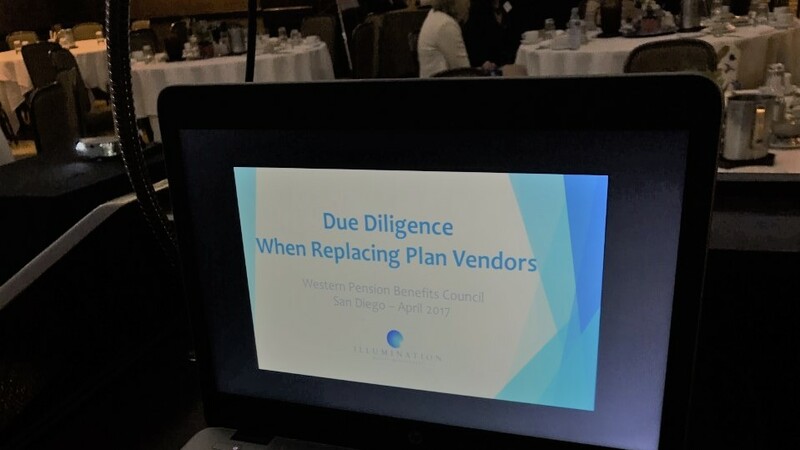 On April 18th, Matt was invited as a guest speaker for the Western Pension and Benefits Conference. His audience consisted of business professionals such as CPAs, ERISA attorneys, and plan vendors. Matt explained the importance of due diligence when plan sponsors are switching from one plan vendor to another.